The tech giant is finally getting serious about A.I. News broke on Sunday that Apple acquired data intelligence company Lattice.io, a splashy move that adds a unique startup to the iPhone-maker’s growing A.I. roster. Apple bought Lattice.io’s for a reported $200 million, which means Apple is looking to integrate “dark data” into its repertoire and open up an extraordinary amount of possibilities. “Dark data” refers to the segment of data in the digital world which is unstructured — hence the “dark” label. This type of data, which could be text or images, is basically unorganized and jumbled up in such a way that it cannot be readily analyzed or processed. In other words, you can’t really use it for anything — even though it accounts for 70 to 80 percent of the data that’s strewn about cyberspace. Lattice.io works by taking that dark data and turning into something that is structured. It can be read, analyzed, and used. The company was founded in 2015 as an offshoot of the Stanford research project DeepDive. 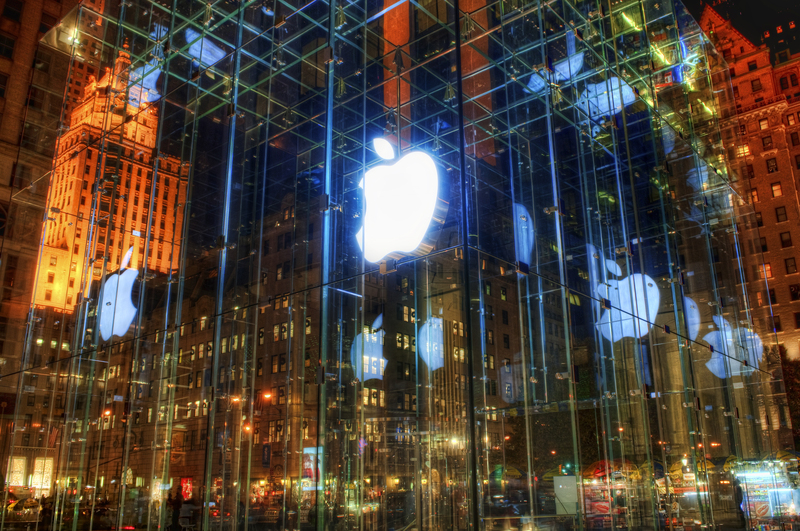 According to TechCrunch, which reported the sale, Apple’s acquisition was closed many weeks ago. Exactly what the tech giant wants to do with Lattice.io is unclear. “Apple buys smaller technology companies from time to time and we generally do not discuss our purpose or plans,” an Apple spokesperson told TechCrunch. Here are three wild theories about what Apple wants to do with Lattice.io. Google, Amazon, and Microsoft have already made serious inroads in trying to leverage new A.I. technologies as part of its operations and products. Google, for instance, recently proclaimed a desire to become an “A.I. first” company. Apple’s been slow but is starting to make the right moves. The company recently announced intentions to publish more scientific research on A.I., and also joined the Partnership on A.I. — ostensibly to compete directly with Google and others. Could using "dark data" -- like text messages and other person-to-person communication -- be Apple's next frontier? If Apple doesn’t think it can directly catch up to the other tech giants by playing the conventional A.I. game, it may be using dark data as a left-field tactic to make inroads. Dark data hasn’t really been mined by Google, Facebook, or others — at least not openly. Apple may have seen Lattice.io as a gateway into that world, during a time when few big companies have made dark data structuring a serious goal. A.I. has the potential to radically transform nearly every single major industry. Algorithms, which are able to parse through and make sense of heavy blocks of data, could be a boon to the medical industry, policing and crime prevention, scientific fields of all kinds, the development of better robotics, and much more. The fact that 70 to 80 percent of the digital world’s data is unorganized means there is a slew of information out there that could hold keys to streamlining work of all kind. Apple may be looking to shed its predominant veneer as a company for the average consumer and dig heavily into specialized technology that other industries are dying to use.